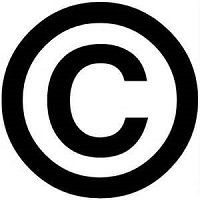 All of William M. Windsor's articles, Facebook posts, photographs, and videos are copyrighted. Copyright notices have repeatedly been published and are maintained at all times on LawlessAmerica.com and the Facebook pages. But cyberstalkers have taken Bill Windsor's copyrighted and trademarked material and have used and abused it. So, Bill Windsor is preparing to file suit in Federal Court. CEASE AND DESIST NOTICE TO ALL JOEYISALITTLEKID PUBLISHERS, ALL AMERICAN MOTHERS POLITICAL PARTY MEMBERS, CLAUDINE DOMBROWSKI, LORRAINE TIPTON, BRANNON BRIDGE, SAM ROUND, CURTIS BUTLER, KIMBERLY WIGGLESWORTH, AND OTHERS. All information written by William M. Windsor is copyright William M. Windsor. All photos taken by William M. Windsor are copyright William M. Windsor. All photos and videos taken as part of the Lawless America project are copyright William M. Windsor. Those using William M. Windsor's copyrighted material without permission should read the basics at copyright.gov. "Copyright protection subsists from the time the work is created in fixed form. The copyright in the work of authorship immediately becomes the property of the author who created the work. No publication or registration or other action in the Copyright Office is required to secure copyright. Notice was required under the 1976 Copyright Act. This requirement was eliminated when the United States adhered to the Berne Convention, effective March 1, 1989. In general, copyright registration is a legal formality intended to make a public record of the basic facts of a particular copy­ right. However, registration is not a condition of copyright protection." I am preparing to file a federal lawsuit against all those who have violated my copyrights and trademark rights. I suggest that all those using my material illegally should cease and desist immediately.